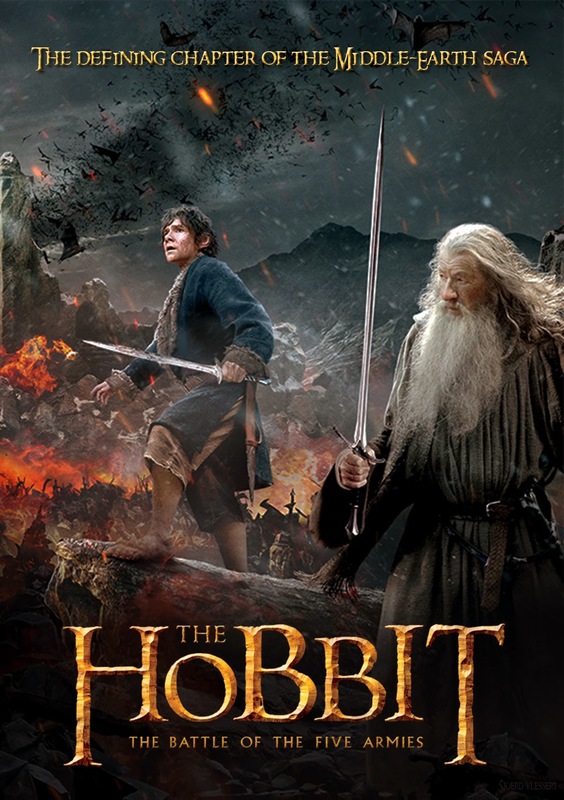 The Hobbit: The Battle of the Five Armies is the last in the series of films that adapt J.R.R. Tolkien’s The Hobbit, and presumably the last of Peter Jackson’s Middle Earth films, which also include the films in the Lord of the Rings series. In addition setting out to entertain film goers, The Battle of the Five Armies has the task of wrapping up The Hobbit plotline and setting up the events of the Fellowship of the Ring, the first chapter of the Lord of the Rings saga. Needless to say, this is a middle film in a six film saga and is primarily targeted at those familiar with other entries. Newcomers to Middle Earth, the fantasy setting of the Hobbit films, should not start here. Even this reviewer, who has seen all of Jackson’s Middle Earth films had trouble keeping up with the various characters and kingdoms, which include humans, elves, dwarves, orcs and more. As it stands, The Hobbit: The Battle of the Five Armies will satisfy Middle Earth acolytes, and is filled with rich details of the fantasy universe. It’s an action packed sequel with the titular battle seemingly lasting the majority of the film's run time. This film, like all of the other entries in the series, is too dark and violent for the very young. Adult fans, however, will have a great time. If you’ve seen the other films, you know what to expect. It’s more of the same, and perhaps that is the problem with film franchising. Even though it is a fine feature, with 6 films covering the events of three books, no “new” ground is covered. Originally planned to be two features, The Hobbit movies were expanded to three films and have more or less run out of steam here. If the Middle Earth series is to expand any further, some fresh blood and new quests are needed. The Lord of the Rings film trilogy was groundbreaking at the time. Like The Hobbit series it spawned, the Lord of the Rings movies were filmed back to back a relatively unheard of production schedule at the time. Now franchises are planned out a decade in advance, filmmakers build fan loyalty by adhering to established lore and the length of films has steadily increased to EPIC storytelling. It's a bit sad to see this series go out on a solid, albeit unremarkable final entry. Those who know who this film is made for... you know who you are.